Who can resist those beautiful pictures of Mary or Mary and baby Jesus? The pictures and icons are humble and cause us to stop and remember the sacrifice made by Mary to bring our Lord into this world. For us Mary is someone quite special, but for those who knew both her and Jesus, they were two ordinary people. If only they knew! As Christmas day draws closer, let us remember what Mary would have endured physically as she prepared to birth Jesus. 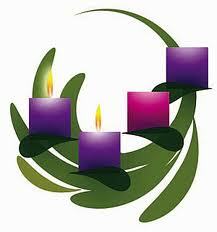 Let us remember Mary and Joseph during their time of confusion, wonder, uncertainty and great expectation. Let us join them by responding to God in faith when He asks us to trust Him as He uses us to carry out the impossible. Similar to the prayer of Hannah in 1 Samuel 2:1-10, Mary breaks out in praise towards God and expresses the divinity of her unborn child. And my spirit rejoices in God my Saviour, For he has looked with favour (approval, gracious kindness) on the lowliness of his servant. Surely, from now on all generations will call me blessed: for the Mighty One has done great things for me, and holy is his name. 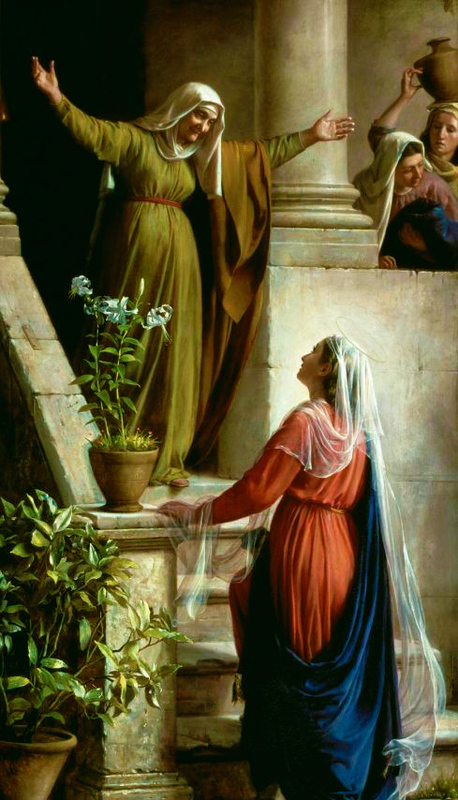 Mary knows she is blessed and her relative Elizabeth has confirmed the annunciation. They are excited because they know things are about to change in the world. The child she is carrying is about to change the world by: bringing down the powerful, lifting up the lowly, filling up the hungry, leaving the rich empty handed. His arrival will be a reminder of the promises God had made to their ancestors. Zechariah makes known to everyone that things are about to change, not with the birth of his son John, but with the arrival of another child. The arrival of Jesus is the fulfillment of the ancient promises made to their ancestors. It’s a powerful prophecy letting everyone know that the oppression and mistreatment will indeed end. Zechariah lets his baby boy John know that there are big plans ahead for him. He will be the one to prophecy and prepare the way for the Lord. What will John’s message be: to let people know there is salvation available to all through the forgiveness of sins. According to Zechariah those who are in darkness will now see the light and this light will guide their pathway to peace. Will you be like Mary and Zechariah and proclaim to the world that there is light in the darkness? 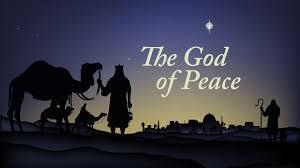 Will you be like Mary and Zechariah and see the arrival of Jesus as a sign that God is faithful with his promises? Will you be like Mary and Zechariah and see your children as heirs to the message and promises made by God? In the sixth month (of Elizabeth’s pregnancy) the angel Gabriel was sent by God to a town in Galilee called Nazareth, to a young girl engaged to a man who whose name was Joseph, of the house of David. The young girl’s name was Mary. And he came to her and said, “Greetings, favored one! The Lord is with you.” But she was much perplexed by his words and pondered what sort of greeting this might be. So they said, “Do as you have said.” And Abraham hastened in to the tent to Sarah, and said, “Make ready quickly three measures of choice flour, knead it, and make cakes.” Abraham ran to the herd, and took a calf, tender and good, and gave it to the servant, who hastened to prepare it. Then he took curds and milk and the calf that he had prepared, and set it before them; and he stood by them under the tree while they ate. Despite being at first confused by the contents of the announcement, Mary trusts in the words of assurance given by God through His angel Gabriel, “Nothing will be impossible with God.”. Mary can accept God’s promise because she knows that as baffling and scientifically impossible as God’s announcement may be, nothing is impossible when God says so. If God said it, it will be. Unlike Sarah, Mary takes God’s announcement and his promise seriously. She responds not with a fear of God, but with trust. As if Sarah hadn’t already dug herself into a deep enough hole by upsetting the LORD, she goes even further tell the LORD that he was wrong by denying having laughed. I’m not sure why anyone would tell the LORD a lie? As if God doesn’t already know the truth. I can’t imagine how embarrassed Abraham must have been. It was mighty brave and foolish of Sarah to lie to the LORD, but a promise is a promise and God kept his word her and Abraham. When their son was born they named him Isaac, meaning “he [God] laughs”. 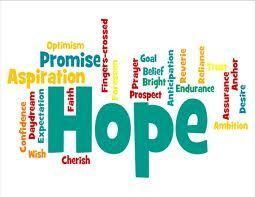 QUESTION: How do you respond to God’s seemingly impossible promises to you? Do you believe His promises? Will you respond like Mary or Sarah? QUESTION Part 2: How would you have responded in each of these two scenarios? How would you have responded to the angel Gabriel? How would you have responded to the three messengers at Abraham’s tent? How would you respond to God after he has caught you in a lie; would you deny it or would you admit to God that He was correct?